The story is too good to not be shared with the loyal readers of Thought on Tracks. I also think it might be fair to say that the music is even better. A rich, illicit tale of how a mix of substance, shared living space, and musical talent can lead to a blog post. Step inside and meet Roommates. Ben Cook (Fucked Up, Marvelous Darlings, The Bitters) had been sharing the same apartment with friend Mark Fosco (Marvelous Darlings) for nearly four years when one exchange occurred that brings us all together to today. Fosco was working a deli job when he traded a sandwich (not sure the cut of meat) for an illicit substance from a customer. Being a good friend, Fosco offered the drugs to Cook and the rest is history. Two mind erasing sessions lead to release of 7” Winnifred by Oakland label Slumberland Records. Roommates did not originally intend to release these experiences or even be considered a band. The duo has played a hand full of shows in a Toronto coffee shop called “One Stop Sandwich & Coffee” and it is tough to say if we will ever hear anything more from this project. A powerful mix of heavy guitar and great pop lyrics has me hoping that there is more to come. If the music slows then it might be time to start interviewing hungry Canadian drug addicts with negotiating skills. 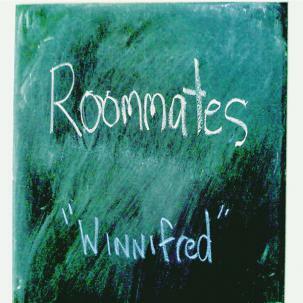 Listen to the front side of Winnifred and enjoy “Back to the Sun / Girlfriend Swamp”. Grab your copy for $4.75.